Many do not like eating fresh greens, the color alone makes them hesitate. Green smoothies and salads are not for everyone, but they are much healthier than cooked food. This is due not only to the fresh ingredients used this, but also to the natural coloring, which is contained in the fruits, vegetables, and herbs used. It is the chlorophyll. The motto of a new generation of people who live with joy and enthusiasm in harmony with nature is: Go Green! Eat green, drink green and live green! Those who live green have recognized the power and vitality of eating fresh greens or green food. Green foods are those so-called superfoods, with whose life force and energy no other food can absorb. Most of us already know the leaf green from biology teaching. We have learned that chlorophyll is responsible for the green color of plants. It is that natural color that operates photosynthesis. In this process, plants produce water, carbon dioxide and light (oxygen) oxygen and glucose. Photosynthesis is almost the inversion of human respiration. In this case, oxygen is inhaled and carbon dioxide and water are exhaled. Without plants, there would be no oxygen and no livelihood for humans and animals. In addition, the intake of the life-giving substance has a positive effect on the human organism if regularly eating fresh greens in the diet. Rich in chlorophyll, such as grasses (including wheat, barley, ryegrass, and alfalfa) and herbs (including dandelion, nettle), salads and cabbages or algae like Spirulina and chlorella. What causes chlorophyll in our body? By eating fresh greens regularly, we not only absorb a lot of healthy vitamins and bitter substances but also a lot of chlorophyll. But what exactly does the leaf green in our body? In addition, the chlorophyll creates an unfavorable environment for bacteria and kills or prevents germs from multiplying in the body. Many bacteria are absorbed when many meat products are consumed. In addition, chlorophyll can prevent iron deficiency and magnesium deficiency. Eating fresh greens regularly can prevent such deficiencies. In addition, scientists have found that chlorophyll has an antioxidant effect and can neutralize free radicals. What is even more significant, however, is the fact that it also binds carcinogenic toxins and can make a significant contribution to cancer prevention. No Matter which diet, eating fresh greens is a healthy and beneficial addition. Use herbs in your food and make it more tasteful Prepare green leafy salads and eat before the main dish, this also helps to control weight. Start eating more fresh greens! Green foods naturally contain not only chlorophyll and magnesium, but almost all of the micronutrients , including the beta-carotene from which the body can produce Vitamin A for the eyes and the mucous membranes, the vitamins C and K, folic acid, Vitamin B6, copper, calcium, potassium and trace elements in a balanced combination. Even omega-3 fatty acids are found in green leaves as well as all essential amino acids. Green foods are the most abundant sources of a multitude of extremely effective phytonutrients and rare trace elements. For example, the vegetables from the cruciferous family, such as cabbage, broccoli, and mustard, contain so-called isothiocyanates, which is mustard oil, and sulforaphane. Both substances are among the most powerful and at the same time most natural substances that can fight and prevent cancer. Sulforaphane activates carcinogenic detoxification enzymes in the liver, which can neutralize carcinogenic, free radicals. Sulforaphane is not immediately consumed, for example, vitamin C, but can act several times. Spinach provides the antioxidants lutein and zeaxanthin. These two substances are also known as the protective gel of our eyes and our visual acuity. Microalgae such as chlorella and spirulina are rich in the enzymatic pigments phycocyanin and phycoerythrin. They are highly antioxidant, can trap free radicals and block lipid oxidation (cholesterol deposits). Phycocyanin acts similarly to many rheumatoid agents and inhibits the enzyme cyclooxygenase-2, an enzyme that plays an important role in inflammatory processes. For salads use deep-green vegetables like spinach, cucumber, cress. Also use herbs like parsley, chives, dill, basil, as well as wild herbs, Dandelion, Plantain, Sorrel, and much more. Replace a meal or snack each day with a green smoothie. 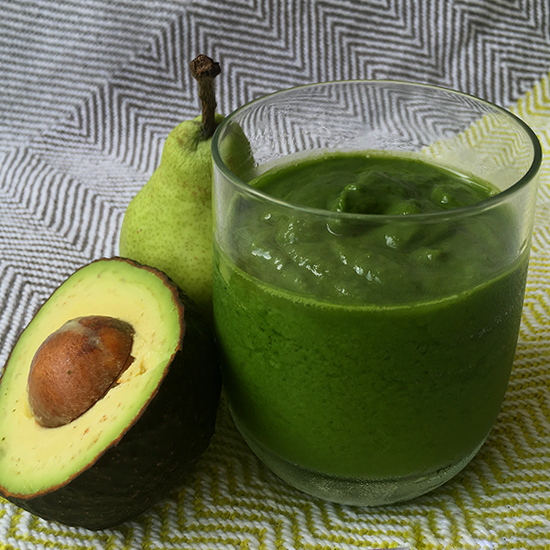 A green smoothie can also be made without sweet fruits and instead with an avocado and some herbal salt. If you do not have fresh herbs or vegetables for your smoothie, you can also use herbal powder or learn how to freeze fresh herbs. Juice as often as possible green vegetables, wheatgrass or barley grass. Alternatively, you can use wheatgrass or barley grass in powder form, mix it in juice or mix it in dressings or soups or raw food biscuits. Moringa powder is also an excellent source of chlorophyll. Looking for a simple holistic approach to health and nutrition and want to learn more? 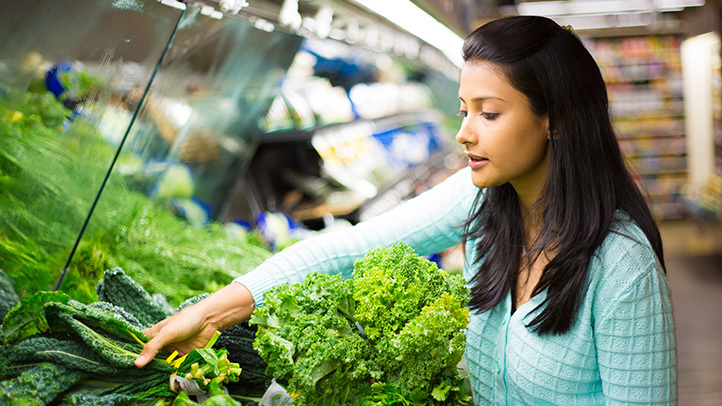 Study new online ‘Introduction to Nutrition’ Course at your own pace – 10 modules. Learn and implement new skills, allowing you to make sustainable changes in your health and diet.